In 2018, Punjab at 95 cases had the maximum such cases followed by Delhi at 85 cases and Uttar Pradesh at 82, as per data with the NCW’s NRI complaints cell. The Union government plans to introduce a Bill in the ongoing winter session of Parliament to introduce amendments to multiple legislations so as to crack down on the issue of Non-Resident Indians (NRIs) deserting their wives. The government aims to introduce an omnibus legislation to allow amendments to The Passports Act and The Code of Criminal Procedure (CrPC) Section 82 and make way for Compulsory Registration of Marriages. This year, until December 31, the National Commission for Women’s (NCW) NRI complaint’s cell — set up a decade ago specifically for handling such cases — received 750 complaints, largely from women who have been deserted by their NRI spouses. In 2017 and 2016, the number of reported cases was 528 and 468, respectively. Sources said the MEA will be submitting a cabinet note combining all three proposals soon. The issue was taken up for discussion last month at the meeting of the Group of Ministers headed by Home Minister Rajnath Singh on MeToo where Ministers of Home Affairs, Law, External Affairs, and Women and Child Development were all present. 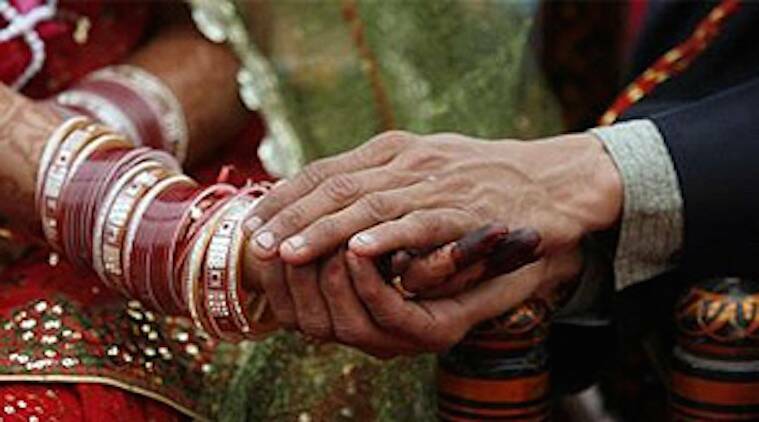 “The MEA is responsible for The Passports Act, the MHA for CrPC, and Law Ministry will draft the Bill to allow for Compulsory Registration of Marriages. Since this is a proposal to amend multiple Bills, one of the stakeholder ministries will pilot it, in this case the MEA. Once the cabinet note is submitted and a decision taken, the amendment has to be introduced before the ongoing session ends on January 11,” said ministry sources. back in March 2009, the Law Commission of India had in its report, titled ‘Need for Family Law Legislations for Non-resident Indians’, highlighted the many vulnerabilities of women married to NRIs and their children and the legislative grey area that exists when it comes to the issues concerning abandoned wives of NRIs and child custody. Over the years, the NCW and a few government-appointed expert committees too have prepared several detailed reports on the gravity of the situation. The proposal to move a Bill that will address at least some, if not all of these issues, is a long awaited move. The three legislations together will ensure that if an NRI husband deserts his wife, and is found to be absconding, a court summon issued in his name on the MEA website will be deemed to have been served. “This was suggested by External Affairs Minister Sushma Swaraj as often embassies abroad are not aware of the whereabouts of the person or the person is known to change his addresses frequently. Once the summon is put up online, his passport can be cancelled if he fails to turn up before the court and his any property in India can be seized. Similarly, registration of marriage will have to be mandatorily done within 15 working days of the date of marriage or the person will risk having his passport seized or cancelled,” said an official.